It's easy to decorate your yard for Halloween with this inflatable pumpkin patch. 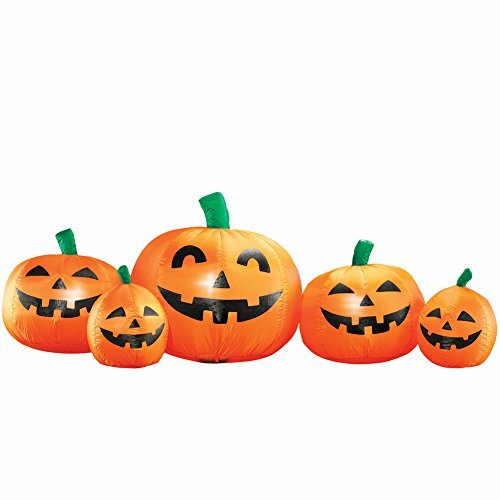 It inflates automatically and features 5 different sized jack-o'-lanterns plus ropes and stakes to secure it in place. Plugs into AC outlet. Polyester. 65"L x 28"W x 24"H.